India Budget 2018: Who are the biggest winners and losers? In 2016 India’s prime minister, Narendra Modi, pledged to double farmers’ incomes by 2022. 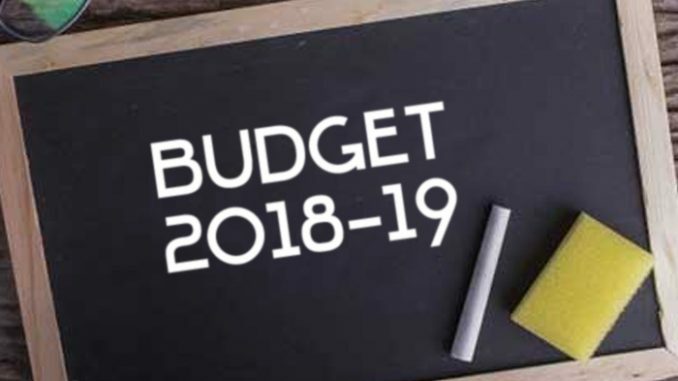 While the pledge may have been aspirational, reliant on good weather as much as government policy, the 2018/19 budget, announced today, demonstrates the depth of the government’s commitment to the agriculture sector. There’s clearly a political edge to any moves to bolster agriculture: any solace to rural India will be described as political opportunism until most people in India are not engaged directly or indirectly in the agricultural sector. And with a number of state elections coming up this year and a general election next – suggestions that it will be brought forward have increased in volume since the budget – a politically-astute budget is unsurprising. At the same time, there is a real sense of crisis in Indian agriculture which the budget is attempting to ameliorate. The budget – which has Keynesian undertones – announces both direct and indirect support for rural India; it increases significantly the price at which the government purchases agricultural produce and offers a range of further support through initiatives in areas such as irrigation. Furthermore, there is a significant hike in spending on infrastructure – roads, railways, ports and waterways – with a major allocation for rural infrastructure. While government spending on infrastructure had been growing, the 2018/19 budget appears to accept that innovative funding models to pay for rural projects are unlikely to work – instead, rural highways will have to be funded from overall taxation, as is generally the norm. The other bold initiative focuses on healthcare. One hundred million poor families (so around half a billion Indians in total) will receive up to 500,000 rupees for medical care under a health insurance programme. Given the correlation between ill health and poverty, this should have implications for the economy as well as healthcare itself. At the moment poverty effectively excludes many Indians from private healthcare. Education too received a boost, with several proposals including teacher training. There have long been concerns over the quality of Indian education. In particular, even where schools exist physically, teachers themselves are absent. As is often the case with India, the question will be in the implementation. While there are bound to be hiccups, the current Indian government does appear to realise the need for on-the-ground, visible change. The recent state election demonstrated that while the BJP is clearly favourite to win another term, it is not invulnerable. If the changes do not reach the “last mile”, then they will accrue neither the economic nor the political benefits. The downsides? Increased taxes will raise inflation, potentially exacerbated by sustained government borrowing; a 20 per cent rise in customs duty will affect imports of mobile phones (though benefit domestic producers and encourage other foreign firms to set up manufacturing plants in India) and some of the revenue projections appear optimistic. On balance though, this is a budget that recognises the most pressing challenges which India faces and attempts to provide solutions to them. Gareth Price is a senior research fellow at Chatham House working on South Asia.